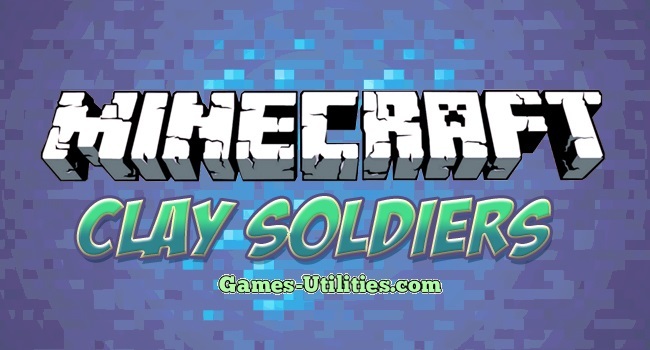 Clay Soldiers is a modification for Minecraft which adds a army of clay soldiers inside your Minecraft world. It creates a battlefield during a game by summoning loads of units made of clay. The Soldiers have different characteristics based on their colour, they form two teams, allied and hostile. You can equip the soldiers with weapons, provide them armor/speed upgrades, make them glow and much more. It brings endless fun in both single and multiplayer mode. The latest version is; Clay Soldiers Mod. Updated to Minecraft Latest Version. Download and install Minecraft Forge API and run Minceraft once. Go to Start Menu > Type %appdata%/.minecraft/ and press Enter. Start Minecraft to verify mod installation. Enjoy. Before download or installing any mod, please back-up your Minecraft.jar and saves. Also, have fun playing Clay Soldiers Mod and keep coming here to check the latest updates of Minecraft. If you have some thing to share related to this mod feel free to share it via comments.